Mango Juice is a favourite drink for all ages in Summer Season. 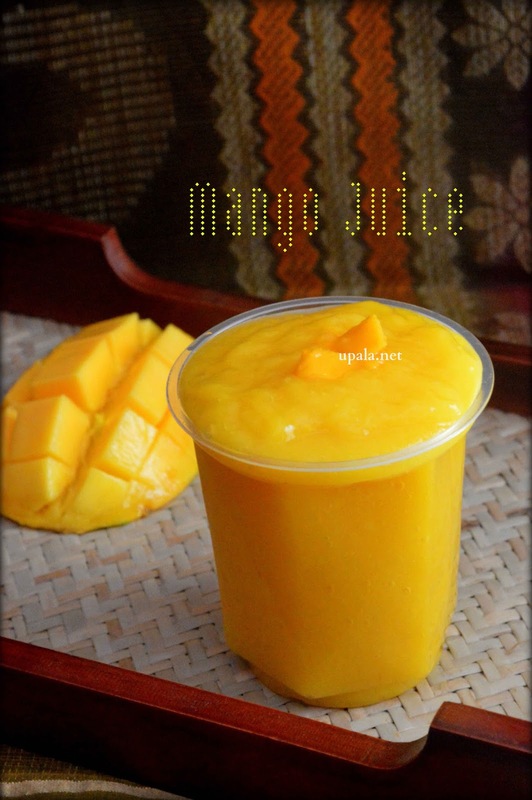 You can prepare fresh Mango juice at home within minutes. Interested in Mango milkshake, click here for recipe. Another Yummy mango recipe is Mango punch, give it a try to relish the deliciousness. 1) Peel the skin of mangoes and chop them into pieces. 2) Add the mango pieces to mixer along with sugar and grind to smooth paste. 3) Refrigerate the Juice and serve chilled. 1) I have skipped Ice cubes, you can add it while serving. 2) You can also dilute this juice by adding required amount of water. 3) You can skip sugar and add honey if you are diet conscious.